TopDog Health & Rehabilitation is now recognized as the internet’s #1 Resource for Pet Owner Information about Dog Orthopedic Disease, Surgery and Rehabilitation. WHAT PET OWNERS ARE SAYING? Read what pet owners, just like you, are saying about how TopDog Health has helped not only their dogs but them as well. Community is everything. Here you will find: TopDog Experts and tons of pet owners just like you, who are going through or already have been there and just want to help. We are all here for you. Everything you need for your dog's recovery starts here. You will find all our educational content, rehab articles and links to our surgeon and rehabilitation directories. There is no doubt that video makes learning much easier, therefore we have created simple short videos detailing each therapy and exercise to accompany your home rehabilitation guide. 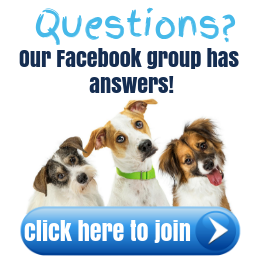 Do you have specific questions about your pet's rehab or long term joint health? Click to send us an email and Dr. J will do his best to help guide you. The more information you provide the better. These simple to follow guides, which offer informative step-by-step instructions to recovery are now internationally recognized as the standard in post-surgery client education. 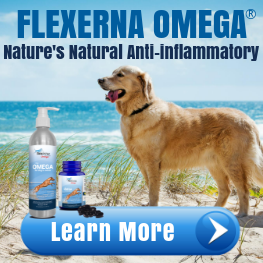 A comprehensive selection of supplements and products for your dog's complete joint health. Including support harnesses and natural anti inflammatories. 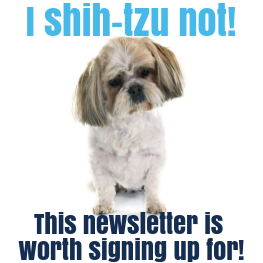 Benefits of SmartShip include 20% off MSRP EVERY TIME, your dog never misses a dose, Zero Risk - All Reward 100% guarantee policy you can change or cancel anytime. 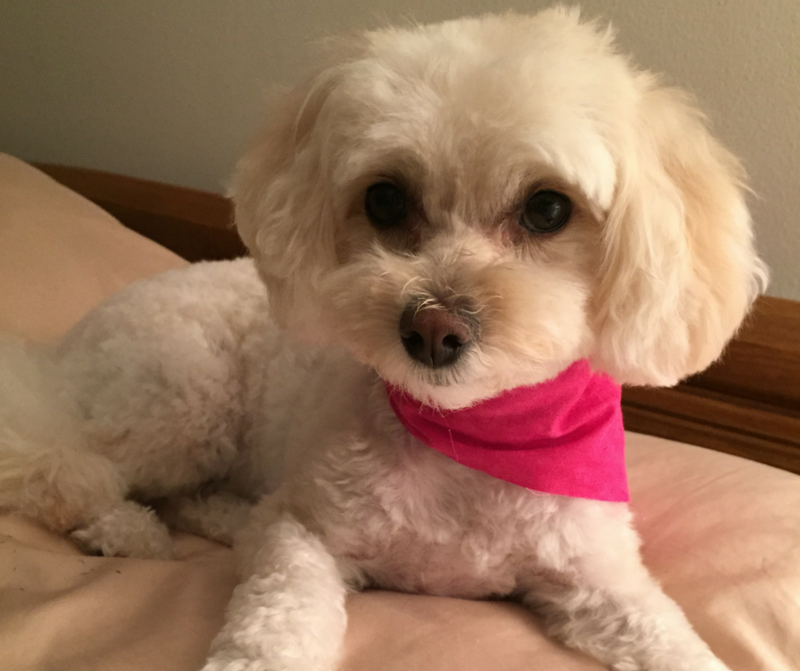 My maltipoo Daisy, is very territorial and got into a fight with my daughter’s much bigger cat. We heard her screaming in the other room and when we went to check on her, found her lifting her right hind leg and limping away from the cat. She had torn her ACL clear through and needed extracapsular cranial cruciate ligament surgery. I found information on her condition online and was sent to Dr. James St. Clair’s TopDog Health website. I downloaded the Home Rehabilitation Guide and also ordered the spiral bound guide, for the step-by-step instructions on how to make sure she would fully recover from the surgery. I immediately followed the recommendations in the guide and started giving her GlycanAid HA factor. My vet was not familiar with the website or GlycanAid and was very grateful that I brought this information to his attention. From the first day she came home from the hospital she has enjoyed this supplement. She is very picky about what she eats but she really loves to grab and eat this supplement. Her hind leg has healed beautifully. My vet said that ideally you would not be able to tell the difference in her back legs. The muscles are equal in size and strength. It’s incredible that I cannot tell which leg was operated on. 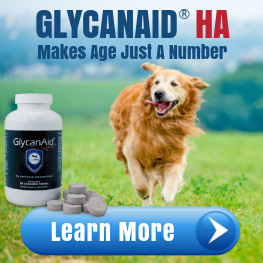 I am so grateful to have found GlycanAid since I don’t have to force her to eat it. She loves it and I will continue with this supplement for the rest of her life. At What Age Should I Start Giving My Dog a Joint Health Supplement? TopDogHealth is dedicated to providing essential and trusted educational material and animal supplements to maintain the health and happiness of your dog. We provide information and health products to pet owners whose dogs may be undergoing orthopedic surgeries such as TPLO (tibial plateau leveling osteotomy), TTA (tibial tuberocity advancement), CCL (cranial cruciate ligament rupture), MPL (medial patellar luxation), FHO (femoral head osteotomy), THR (total hip replacement), or for dogs suffering age-related or genetic joint health issues. Our skin and joint supplements are designed to help your dog look and feel better. Skin supplements work to improve flaky, dry skin while using natural ingredients to make your dog’s coat shine. These supplements can also control excessive shedding and battle underlying skin conditions. Joint supplements work to maintain healthy connective tissues, strong bones, and normal joint function and joint mobility. Keep your dog active and content by providing a daily supplement that increases health and promotes an active lifestyle for your pet. Aside from supplements, we offer a collection of home rehab guides and instructional videos to assist you in performing therapies and exercises with your dog. Whether you are battling canine hip dysplasia, TPLO, or dog ACL surgery (CCL) recovery, we understand the stress and fear that can come with bringing home a pet in poor health. It is our mission to provide the best educational tools to assist you in the recovery process. Our detailed guides will take you step-by-step from surgery to recovery, providing support and solutions throughout the healing process. Physical therapy for dogs can be challenging, but you can have piece-of-mind knowing there is support available. Our T.U.S.H. body harness for dogs is designed to aid in the therapy process and provide support during the difficult time of post-surgery. This harness was created to help both you and your pet navigate safely through their recovery. We understand how important your dog’s health is to both you and your pet. Our trusted products are here for you.